Green eggs and ham? Photo by Ben Husmann via Creative Commons/Flickr. Do you like Green Eggs and Ham? Perhaps you don’t know because you’ve never tried them. This Friday is your chance at the Jefferson Community Center (3801 Beacon Ave. S.) as they celebrate Dr. Seuss’s birthday with a special event featuring actual Green Eggs and Ham for all to enjoy. Other activities planned include making hats, coloring, making “oobleck,” watching The Lorax, playing games, and more fun family activities. The event starts at 6 p.m. on Friday, and admission is $2 per person. 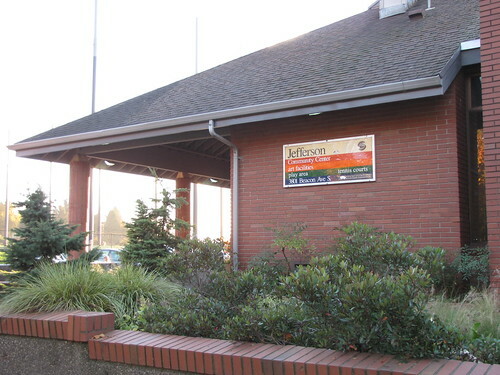 Plan ahead — Jefferson Community Center will close for four days next month for an electrical upgrade project to add an emergency generator and automatic transfer switch. It will be closed from Thursday, September 20, 2012 until 7 a.m. on Monday September 24. The upgrade is part of a larger project including seismic upgrades, replacing the HVAC unit with a heat pump system, and a variety of architectural and maintenance improvements. This will allow the building to be used as an emergency shelter in case of disaster. Any programs scheduled for Friday, September 21 may be affected by the closure, and participants should contact the community center for information. Classes and programs scheduled for Saturday, September 22 will be canceled. These cute pottery critters were made by students in a previous class at Jefferson Community Center. Photo courtesy of Molly Hueffed. 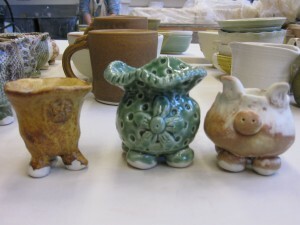 It’s summer, which means that Jefferson Community Center is again offering pottery classes to teach the skills of potter’s wheel throwing and handbuilding. Classes will include basic understanding and techniques of centering and throwing, as well as advanced 1-on-1 instruction. Enrollment is open now for classes that start next week. Call 206-684-7481 for more information and to register, or register online by going to this website, clicking “Arts: Visual/Crafts,” and then “Pottery – Adult/Teen.” Classes are listed there for all community centers, not just Jefferson. Thanks to Molly Hueffed for the info, and I apologize for the delay. 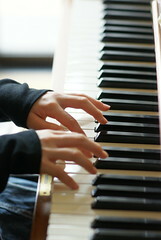 Piano is just one of the class topics you can take at our local community centers. Photo by rok1966 via Creative Commons/Flickr. Spring is here, and with it, registration for spring classes at our local community centers. You can read the spring activity brochure for all Southeast Seattle community centers online, including Jefferson and Van Asselt. Classes offered include pottery, Zumba fitness, toddler “Precasso” arts, a community kitchen project, Shaolin kung fu, voiceover work, ballet, piano, Chinese, rugby, and many more. Registration for most classes can be done online through the SPARC registration system. Mark your calendar—Jefferson Community Center has some eggy events coming up next month. On Friday, April 6 at 8 p.m., the community center hosts a Teen Flashlight Egg Hunt for those 12 and older. The event is free, but bring a flashlight and a bag. Meet at the community center gym at 8 sharp. The hunt will be outdoors. 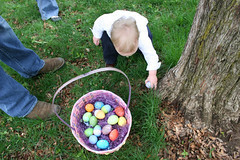 The next morning, Saturday, April 7, is the Spring Egg Hunt and Pancake Breakfast. Breakfast will be served from 9-11 a.m., and the Egg Hunt starts at 10 a.m. sharp. The Egg Hunt is free, but breakfast is not: $4 for pancakes, $5 for pancakes and sausage, or $6 for pancakes, sausage and eggs. All are invited to celebrate the 112th birthday of Dr. Seuss at Jefferson Community Center, next Friday, March 2 at 6 p.m. There will be birthday cake, green eggs and ham to try, and more. Admission is $2 and the entire family is welcome. This weekend Beacon Hill will celebrate holiday festivals, live music and food, a grand opening of a neighborhood amenity, and a closing of a neighborhood institution. The community centers on the Hill are both holding events for kids tonight, October 28, from 6 to 8 p.m. Van Asselt Community Center (2820 S. Myrtle St.) is hosting a free Halloween Carnival for kids aged 12 and under. Games and goodies are promised for the carnival guests. Jefferson Community Center (3801 Beacon Ave. S.) is also hosting a Fall Festival and Haunted House for kids 11 and under (the haunted house is for older kids, per parents’ judgment). There will be games for 25 cents each or 5/$1, and the haunted house admission is $1. For both festivals, kids should dress in their best costumes, and bring a bag to collect treats and prizes. Tomorrow, October 29, the Mountains to Sound Trail Grand Opening celebration starts at 2:30 p.m. at 900 Sturgus Ave. S. Mayor Mike McGinn and other dignitaries will be there to mark the opening of the trail, and tours of the area’s improvements will be given. Afterwards, head down Beacon Avenue to the first Beacon Boogie, a celebration of food, art, and music. See five bands at five different venues for the grand total of five dollars (free for kids 12 and under), as well as enjoying great food and art from Beacon restaurants, artists, and galleries. See the event schedule here. On Sunday, October 30, a more somber celebration will mark the closing of Beacon Lutheran Church (1720 S. Forest St.) after 70 years serving the community. The final worship service is at 10 a.m., and at about noon, the church and community will gather for a potluck dinner and remembrance program. All are invited to either or both parts of the event. 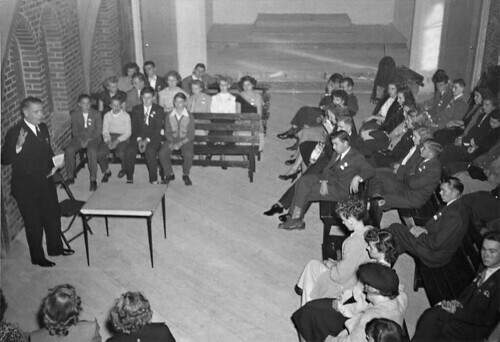 The church community gathered in the unfinished sanctuary of the new Beacon Lutheran Church in Spring, 1949. Photo courtesy of Beacon Lutheran Church via John Graham. Jefferson Community Center will be haunted on October 28. Photo by Wendi. Both community centers on Beacon Hill have scheduled Halloween festivities for Friday, October 28, from 6 to 8 p.m.
Van Asselt Community Center (2820 S. Myrtle St.) is hosting a free Halloween Carnival that evening for kids aged 12 and under. Games and goodies are promised for the carnival guests. Wear a costume, and bring a bag or basket to collect treats and prizes. Refreshments will be available for sale. Jefferson Community Center (3801 Beacon Ave. S.) is holding their own Fall Festival and Haunted House for kids 11 and under (the haunted house is for older kids, per parents’ judgment). Games will be 25 cents each or 5/$1, and the haunted house admission is $1. As at the Van Asselt festival, guests should dress in their best costumes and bring a bag or basket for treats. Jumping rope is just one of the fun activities planned for next week's Bounce Fest. Photo by Andrew Malone via Creative Commons/Flickr.